With Zoho Social, our focus has always been around helping businesses grow their presence on social networks that matter the most. 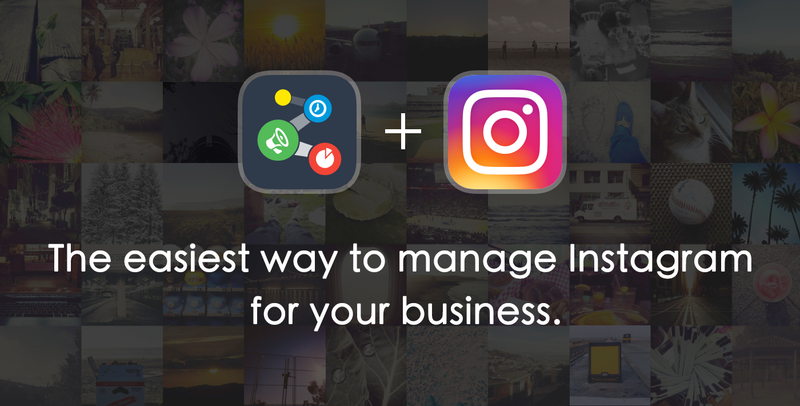 Over the last few months, we’ve been getting TONS of requests to integrate Zoho Social with Instagram. And today, we’re thrilled to announce that Instagram is the latest addition to the growing list of networks supported by Zoho Social. Businesses using Zoho Social will now have the opportunity to build their brand across all of the key social networks – Facebook, Twitter, LinkedIn, Google+ and Instagram. Follow visual posts around topics that matter to you. Keyword searches let you discover new content and build your audience. You could follow posts about your brand or products on Instagram. Or, you could search keywords and hashtags that your potential customers are likely to make posts about. Figure out how your posts are performing best and see the most popular posts. 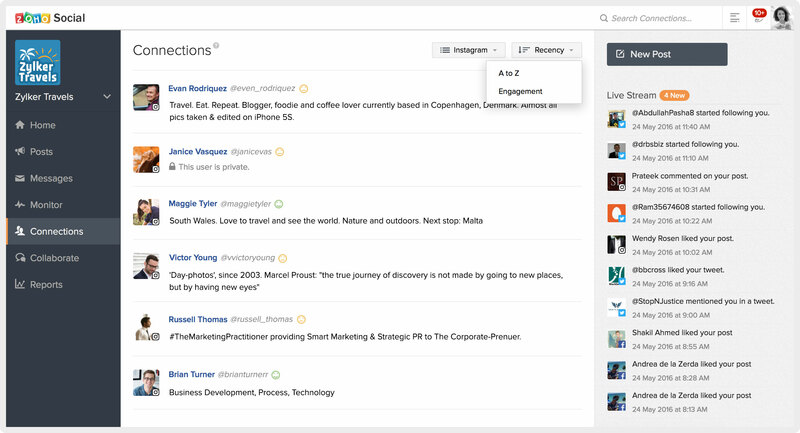 Filter published posts by recency or popularity. 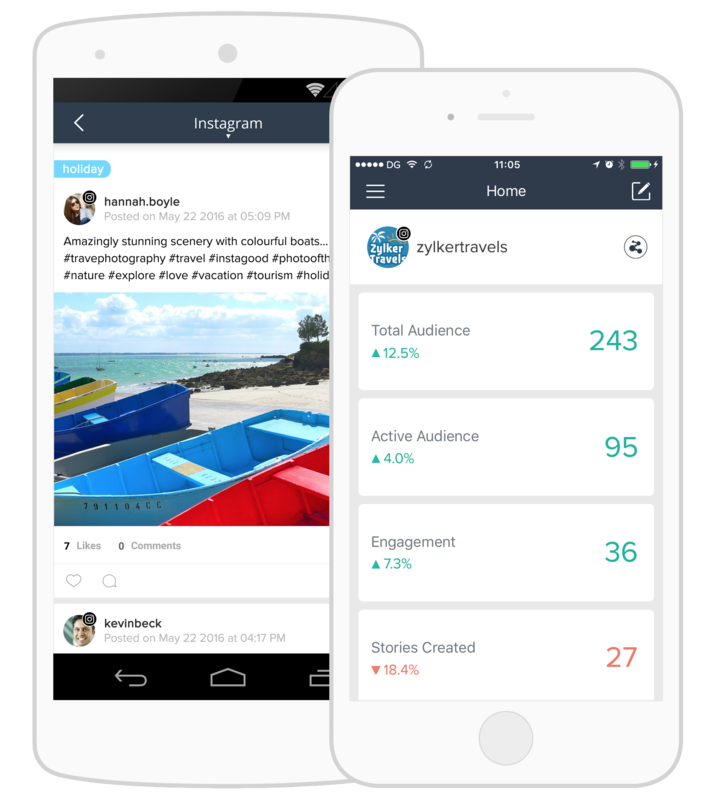 See stats for all your posts, so you can understand how your audience is engaging with the content you publish. Learn more about your audience on Instagram and engage with them. A handy list of all your Instagram connections lets you see how they’re engaging with your content. You can sort this list to discover “brand advocates” i.e. people who are most engaged with your brand. Another way to sort this list is by connections who have recently interacted with your brand. For each connection, you can see the history of interactions they have had with your brand. You can also add in their contact information directly. Get alerts for new activity and respond to comments on your Instagram channel, even while you’re on the move. Notifications on your mobile device and web browser let you know whenever there are new likes or comments on your Instagram posts. Keep your audience engaged by replying to new comments as and when they come in. 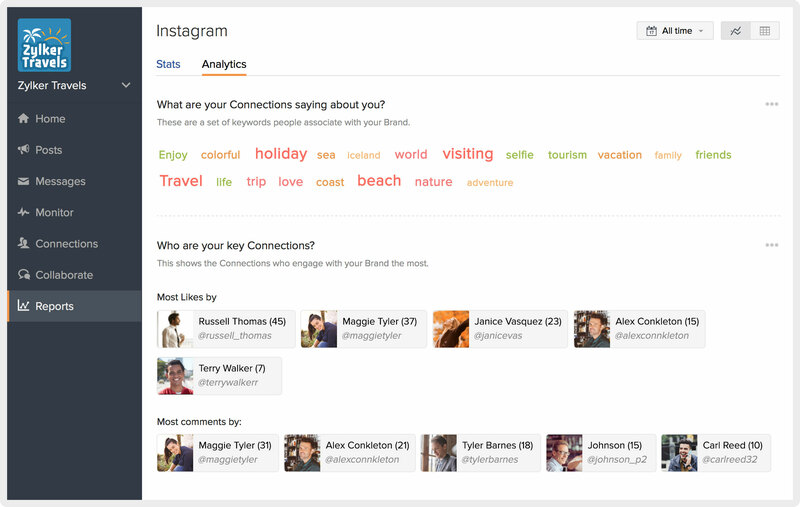 Get access to Instagram analytics and create custom reports with Instagram stats. A glance at the built-in Instagram report tells you how your brand is performing on Instagram, what kind of content resonates with your audience, the best times to post to Instagram and who your key connections are. You can also create a custom social media report by combining stats about your brand from Instagram with stats from other networks. And of course, you can manage Instagram (as well as all your other social media channels!) even when you’re away from your desktop, with the Zoho Social mobile apps on iOS and Android devices. Check out Zoho Social’s Instagram integration and tell us what you think. We’d love to know how your business is using these features.